Teaching cyclists to look after their own bikes is one of our principal goals at Nottingham Bikeworks. It saves you money, keeps your bike safe and fun to ride and there’s always satisfaction in fixing your own stuff. Plus it means your bike’s more likely to be out where it belongs on road and trail rather than abandoned at the back of the shed! All our instructors are confident and experienced bike mechanics as well as keen everyday cyclists. However, that’s only half the story- we attach just as much importance to explaining and demonstrating things clearly and providing support while you learn to do it for yourself. 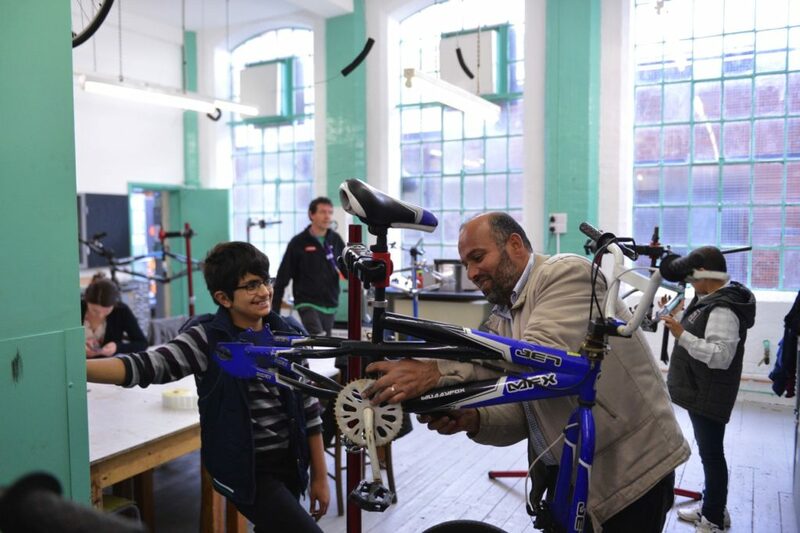 We want as many people as possible to have access to our Bike Maintenance courses, see you Community Projects to see how we help disadvantaged community groups.